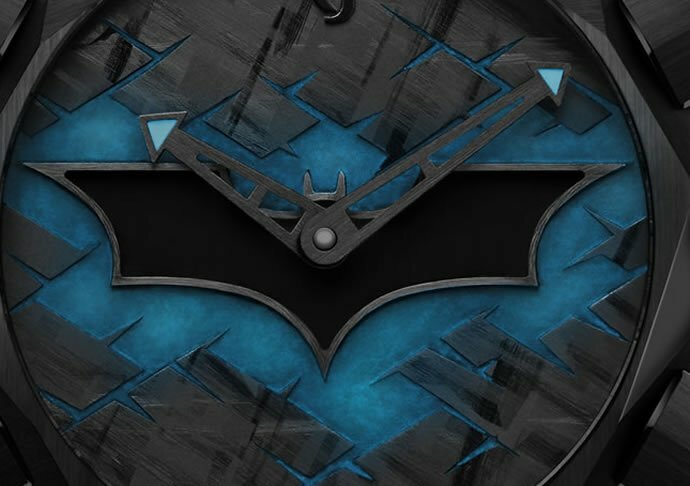 Superman might be considered the flagship of DC Comics, but Batman has always been the most popular character in the DC universe — and the popularity has surged much, much ahead in the last one decade. 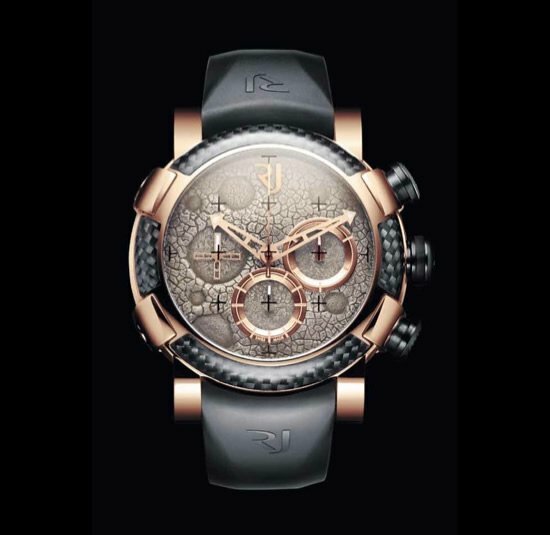 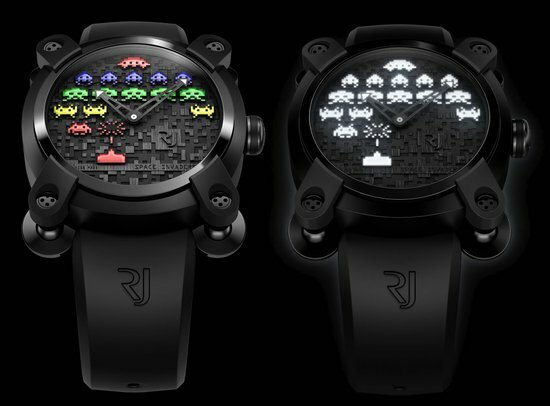 The caped crusader has turned 75 this year, and to celebrate the 75th anniversary of Gotham city’s vigilante watchmaker RJ-Romain Jerome has collaborated with Warner Bros. Consumer Products to introduce the watch brand’s first Super Hero timepiece: the Batman-DNA. Limited to just 75 pieces, the watch features a Batman logo on the dial and case shaped with angles on the bezel to remind of the Batmobile. 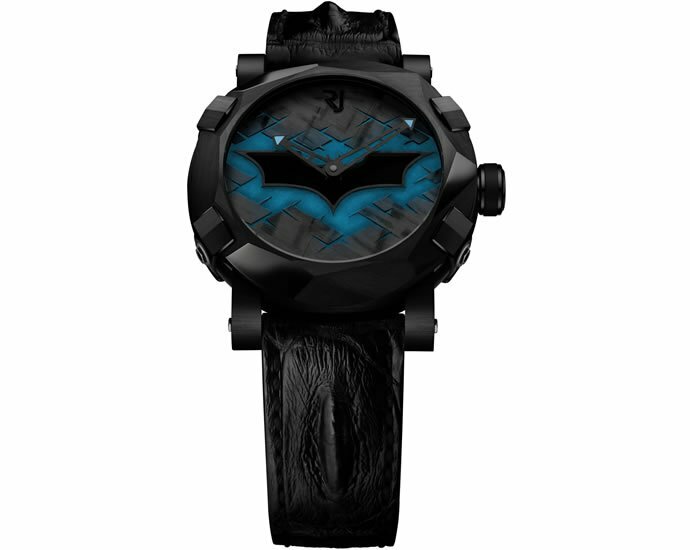 By looking at the pictures, you might think there are two versions of the Batman-DNA watch. 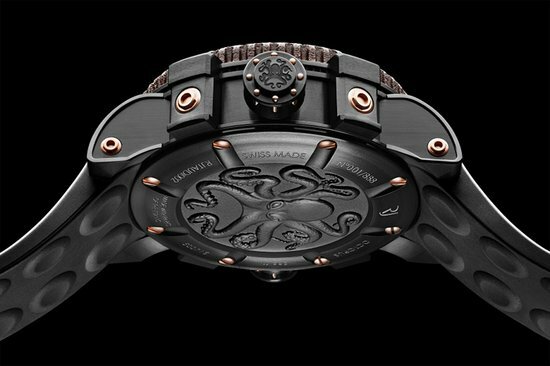 However, there is just one version of the watch and it is just a “light and darkness shot” of the watch with and without the luminant glowing. 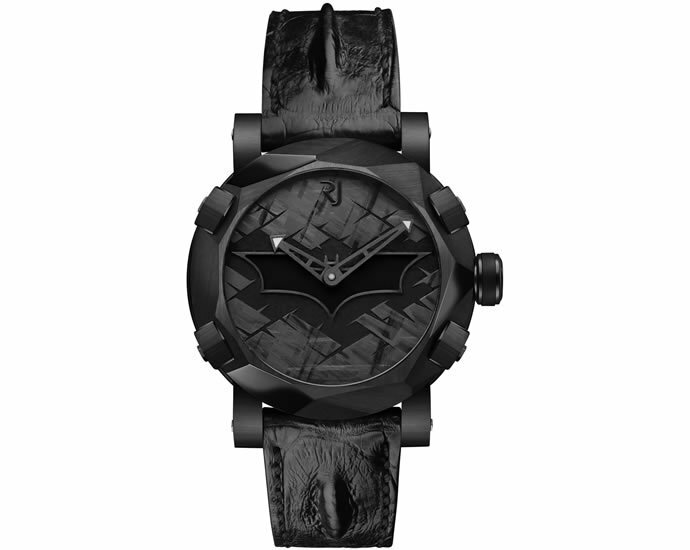 The PVD black-coated steel case of the watch measures 46mm and the rear of the watch has a Batman “medallion”. 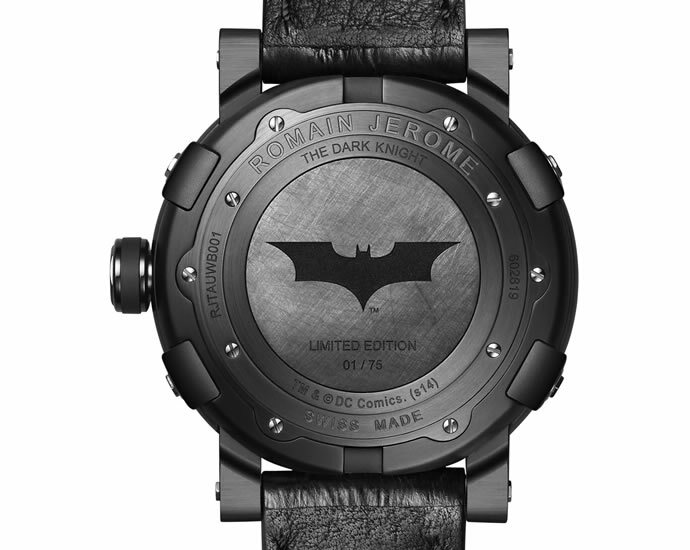 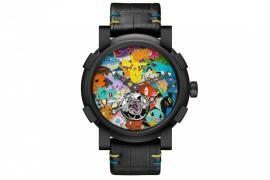 As mentioned before, the face of the watch has the Batman logo over a neat “broken tile style” face design. 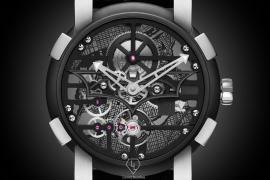 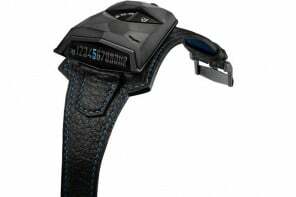 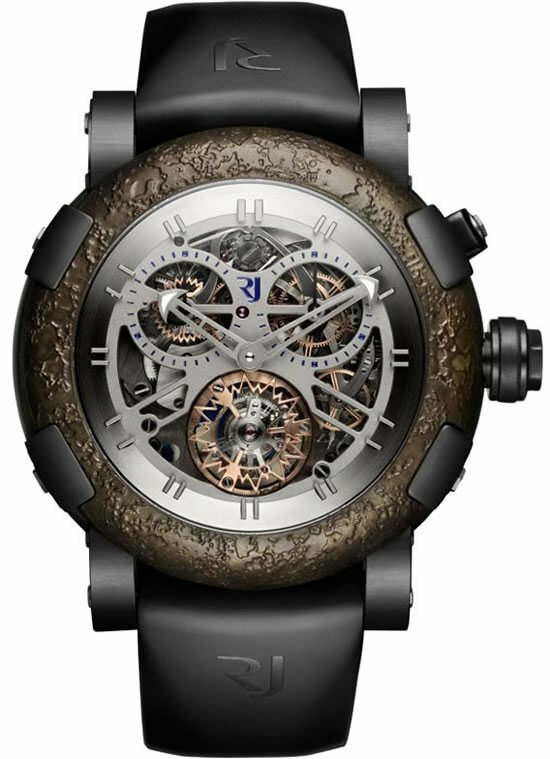 The Batman-DNA watch comes with black hornback crocodile strap and is priced at $18,500.